One of the more ignored aspects of the Bharatiya freedom struggle has been the various tribal revolts that broke out against the British rule. Tribals were prohibited from cutting trees for firewood, their traditional Podu cultivation was banned, and they were often exploited by contractors who used them as labor for building roads in those areas. Many protests broke out in the tribal areas of Eastern Bharat, notably Jharkhand, Chattisgarh, Western Odisha, Bengal – one of the more famous rebellion was that of Birsa Munda in Jharkhand. The ‘Agency Area’ covering Andhra Pradesh and Telangana is the name given to the tribal tracts of Northern parts of both the states, bordering Odisha, Chattisgarh, Maharashtra, along the Eastern Ghats – a vast area covering the districts of Vizag, Vizianagaram, Srikakulam, East and West Godavari in Andhra Pradesh, and Khammam, Warangal, Adilabad, Karimnagar in Telangana, with its hills, valleys, thick forests and tribals living there. The oppressive Madras Forest Act of 1882, was a curse for the tribals of the Agency Area, who were prohibited from cutting trees for firewood and carrying out their traditional occupations. 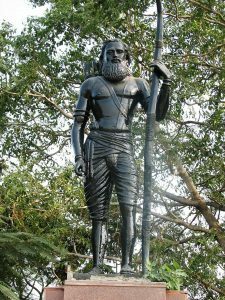 At such a time, Alluri Sitarama Raju emerged to fight for tribal rights in the Agency Area, and mobilize them for an armed revolution. At an age of 27 years, he managed to foment an armed uprising with limited resources and motivating the poor, illiterate tribals against the mighty British empire. July 4th, the day when America became independent of British colonial rule, Ramaraju was born at Pandrangi in Vishakapatnam district in 1897 to a Kshatriya family. When his family was at Tuni, in 1918, Raju used to tour the hills, valleys nearby, where he came into contact with the tribals living there, and saw their condition first hand. He had the nationalist feelings from an early age itself, and believed deeply in Ishwara. He would regularly do Puja to Devi, as well as spend long hours in meditation. The turning point in his life came when he went on a tour to the North in 1916. He stayed with Surendranath Banerjee for some time, and attended the Congress session at Lucknow. He learnt Sanskrit during his stay at Varanasi, also visited Ujjain, Haridwar, Indore, Baroda, Amritsar, Badrinath, and learnt many languages in course of time. It was a period of learning for him, when he read books on medicine, animal breeding, and also wrote some himself. In 1918 he again went on another tour, this time traveling through Nasik, Pune, Mumbai, Bastar, Mysore, before coming back to Krishnadevi Peta, where he stayed with his mother. 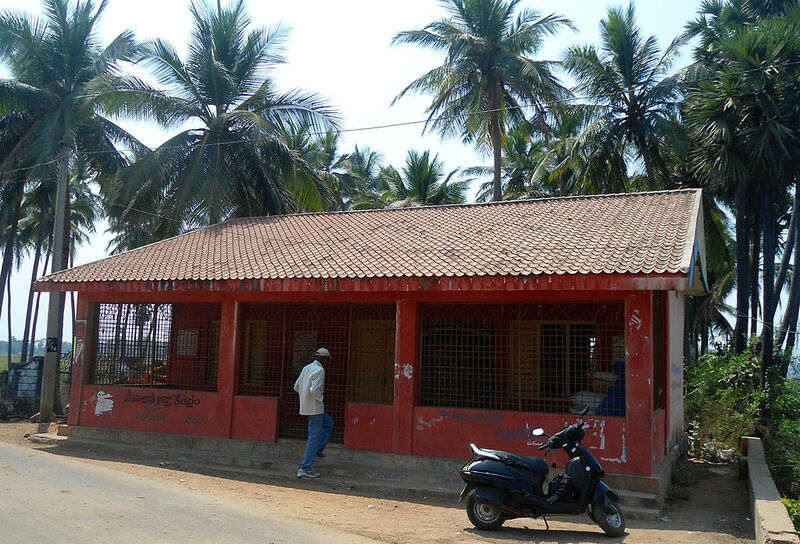 With his prowess in various martial arts & Ayurveda, Raju became a leader and inspiration for people living in the areas surrounding Tuni, Narsipatnam. He began to fight for the rights of the tribals in the Manyam region, and also led a campaign against alcoholism (widely prevalent there) and casteism. The lot of the tribals were miserable in the Manyam region, suffering exploitation from the Britishers in all ways possible. They were used as laborers, their lands taken over and their women folk were sexually exploited too. They led a harsh life dependent on Podu (Shifting cultivation) and selling forest produce, and the exploitation made it even worse for them. In collaboration with contractors, the tribal were made to work as coolies for building roads, and were not even paid for their services. The contractors would treat the tribals like slaves, making them work hard, not paying them, beating them up mercilessly. The tribal were made to carry the contractors from one place to another, their womenfolk were used sexually. It was a truly miserable existence for them. Sporadic revolts broke out in the Manyam region called Pithuri, one of them was at Lagarayi led by Verayya Dora, who was arrested at Rajavommangi. Seeing the misery and exploitation, Alluri decided to stand along with the tribals, and fight for their rights. He bought awareness among them of their rights, infused courage and determination and motivated them to fight against the injustice meted out to them. The tribals in turn turned to him for guidance and advice, and he soon became a leader for the 30-40 odd tribal villages there. He made them give up their habit of toddy drinking, taught them guerrilla warfare and combat. The Gama brothers Gantam Dora and Mallu Dora, Kankipati Padalu, Aggiraju became some of his trusted lieutenants. Bastian, the Tahsildar of Chintappali divison (now in Vizag district) was the most sadistic of all the British officers. He was notorious for his exploitation of the tribal coolies used for the construction of the road from Narsipatnam to Lambasingi. Tribals who demanded more pay were whipped to death, and Raju’s complaints to higher authorities fell on deaf ears. The authorities in turn, getting reports of increasing revolutionary activity, began to spy on Raju at Narsipatnam, Addateegala, and for some time he was in exile to avoid detection. With the help of Fazaulla Khan, the Dy. Collector of Polavaram, sympathetic to the tribal cause, Raju once again entered the Manyam region in 1922. For close to 2 years, Raju would lead one of the most intense uprisings against the British, that nearly shook them to the core. With Mallu Dora, Gantam Dora, Padalu, Aggiraju, he lead a team of nearly 150 fighters against the British, a formidable armed uprising. August 22, 1922– The Manyam rebellion started with Raju leading the first attack on Chintapalli police station in the Rampachodavaram Agency. With 300 rebels, Raju attacked the station, tore apart the records, and took away the arms and ammunition from there. 11 Guns, 5 swords, 1390 cartridges were taken away from there, and Raju personally noted this in the register. And soon it began to spread, Krishnadevipeta was attacked next and arms taken from there. On August 24, Rajavommangi was attacked, and after some resistance from the police there, it was overcome. Verayya Dora who was a prisoner there was also freed and he joined Raju in his struggle. The British struck back sending Cabard and Haiter, who began to comb the Chintapalli region for Raju and his associates. They were both killed in a guerrilla attack by Raju, and the rest of the party had to beat a retreat. The people were now fully in support of Raju and his team of revolutionaries, with this victory. One of the most daring attack by Raju was on the Addateegala police station which was heavily secured by the British. He along with his associates attacked the station, overpowered the police there, and took away all the weapons. It was a huge blow to the British authority in the Manyam region. Rampachodavaram police station was attacked on October 19, and after overpowering it, the people there turned out in huge numbers to greet Raju who by now had become a folk hero in the Manyam region. He was turning out to be a thorn in the flesh for the British, who sent a huge force under the command of Sanders to capture him. In a pitched battle, Raju defeated the forces and made Sanders retreat. Whenever Raju captured policemen who were Bharatiya, they were not killed, but rather admonished and asked to go. The British however began to use spies as well as lure some of Raju’s associates who were captured to track him down. The first blow to Raju came on Dec 6, 1922, when in a pitched battle at Peddagadepalem, the British used cannons against his army. 4 of Raju’s close associates died in that battle, and the forces captured some of the weapons. In further raids by British forces, 8 more of Raju’s men were killed. For sometime there was a lull amidst rumors that Raju had died, but the British still kept tracking him. Finally Raju was again seen in Annavaram on April 17, 1923, where the people gave him a huge welcome. The government was more determined than ever to capture Raju, using spies to track him down. Regular clashes broke out between the forces tracking down Raju and his supporters. There was a pitched battle fought in September, 1923 between Raju and the forces under the command of Underwood, which resulted in the latter’s defeat. Later, his trusted lieutenant Mallu Dora was captured, however the British could not find out the whereabouts of Raju. Mallu was shifted to Andamans Cellular Jail, and also represented Vizag in Lok Sabha in 1952. The government now cracked down even more harshly, tribals were beaten up, tortured to reveal Raju’s whereabouts, the entire Manyam region was sealed off, it became a huge prison. Food supplies were cut off, even women, children, old men were killed mercilessly. In the meantime, the raids by Raju and his men continued at Paderu and the army camp at Gudem. The government appointed Rutherford as the Special Commissioner, to the Manyam region, who had a history of suppressing armed revolts. Aggiraju, one of Raju’s bravest lieutenants was captured after a fierce encounter and deported to Andamans. Rutherford sent out an order, that unless Raju surrendered in a week, the people in the Manyam region would be massacred en masse. Raju was staying in the house of the Mampa Munsab at that time, and when he came to know that the tribals were being harassed to reveal his whereabouts, his heart melted. He did not want the tribals to suffer for his sake and decided to surrender to the Government. But with none willing to surrender Raju to the government, he himself decided to do so on his own. Finally on May 7, 1924 he sent an intimation to the government, that he was at Koyyur, and asked them to arrest him there. 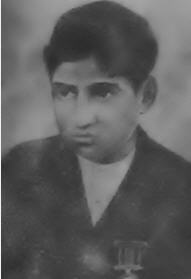 Raju was captured by the police, and on May 7, 1924, shot dead by a senior British officer Gudal. It was clear treachery by the British, who promised him amnesty if he surrendered. At 27 years, Alluri Sitarama Raju became a martyr, but not before he threw a formidable challenge to the British influence in the Manyam region. Sadly, Raju got no support from the Congress, they in fact welcomed the suppression of the Rampa revolt and his assassination. The Swatantra weekly magazine, in fact, claimed that people like Raju should be killed, and the Krishna Patrika said that police, people should be given more weapons to protect themselves from the revolutionaries. It is another thing that after his death the same magazines praised Raju as another Shivaji, Rana Pratap, while the Satyagrahi called him another George Washington. The best tribute to Raju was paid by Netaji Subash Chandra Bose.